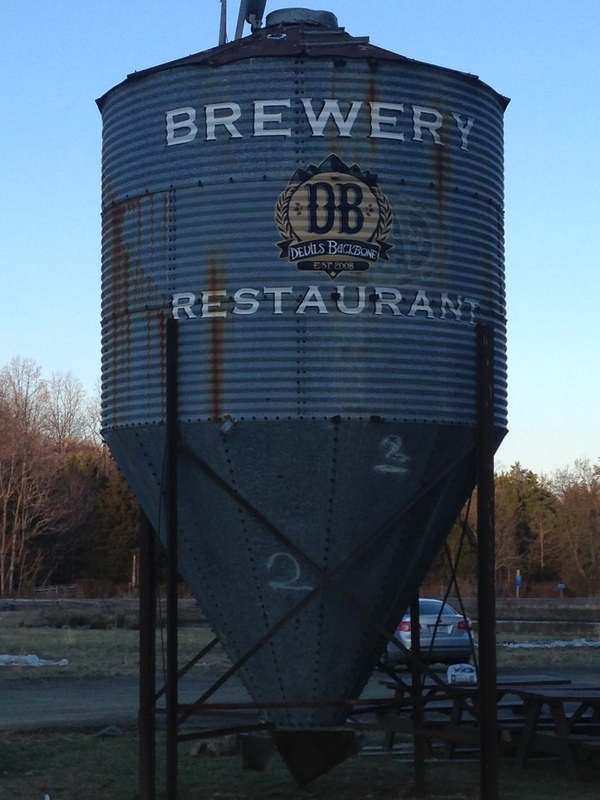 I’d been wanting to stop in at Devil’s Backbone Brewing Company in Roseland, Virginia for quite some time. And, when I finally got the chance it did not disappoint! Their Eight Point IPA was very good and their Ten Point IPA was even better! Not only that, I had the opportunity to enjoy dinner which was delicious – pulled pork sandwich and fried pickles. Much of the menu is locally sourced. The brewery/restaurant is wonderfully crafted with local materials and looks great! I’d recommend this brewery to everyone for the beer, the food and the atmosphere. It’s worth stopping. I stopped in at Devil’s Backbone Outpost Brewery & Tap Room in Lexington, Virginia. I love enjoying beers at breweries that aren’t available anywhere else. The Berliner Metro Weiss was so delicious that I went back out to my car and got the emergency growler from the trunk and immediately filled up! What a delicious beer with a tart finish. O’Fest was also yummy – malty and warming for the season. The Smokehaus Rauchbier I just had to try but it’s not my thing. I am not a fan of smoky. Sorry. The Wee Dram was as tasty a Scottish Ale as I’ve ever had. Malty and caramelly and smooth. I’m glad I finally made it to the Outpost to round out my Devil’s Backbone experience.